I'm a Licensed Massage Therapist in Florida and a former ballet dancer. As a dancer, I had to keep my body in top shape. This meant staying thin, yes, but for me it was more important to be healthy. It never made sense to me to starve myself, my body needed fuel to give my best performance. It wasn't easy, I'm not naturally a "skinny-minny" so I really had to teach myself how to be healthy. This journey lead me down a path of whole body wellness. 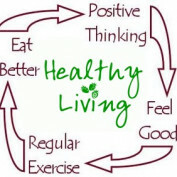 I learned there are many components that make a healthy person. For me, massage therapy is vitally important, hense the reason I decided to go to school for massage. Through all of my experiences I've found some great tools to help stay healthy and feel great, both mind and body. I will share with my readers what I have learned- if I help just one person onto a path of wellness then it will be worth it. Thank you for reading! 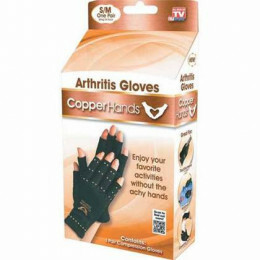 Copper Hands Arthritic Gloves are copper infused compression gloves to help reduce inflammation, swelling, and pain in arthritic hands. Any truth to this? Let's find out about this latest TV product.